Welcome to St. Jerome’s Church. The church was built sometime between 1185 and 1215 . However, two 10th/11th century grave covers suggest that there was some sort of religious establishment on this site before the Norman invasion of South Wales. 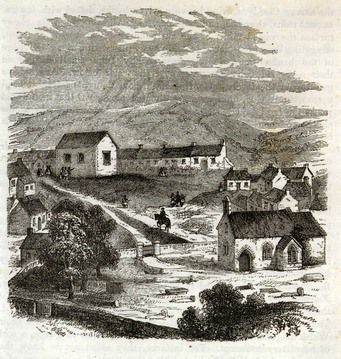 The village name of Llangwm, translated from Welsh also points to the existence of early Christian worship in this village. 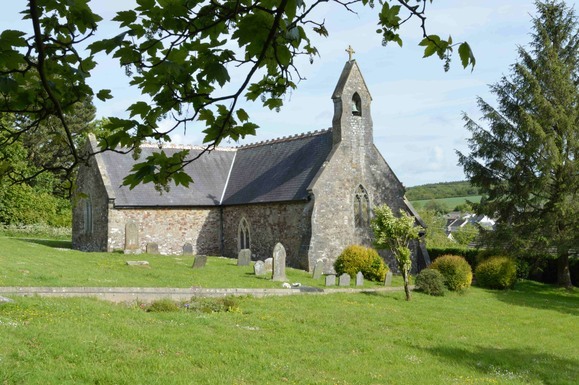 The building of the church as we know it now was funded by Adam de la Roche, the eldest grandson of Godebert the Fleming who, recently discovered evidence suggests, settled in this village around 1120 at what is now Great Nash Farm. 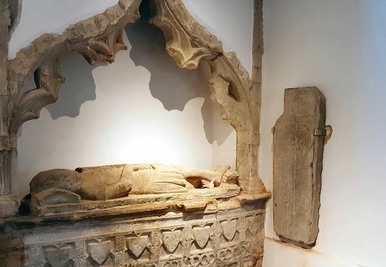 By the mid 14th century, the de la Roche family who had risen in prominence, built a family chapel, which today is the North Transept and home to the “Talking Tapestry of Langum” and the Sunday School. By the early 15th century the main line of the de la Roche family had died out in Pembrokeshire, but the Roche / Roach dynasty thrives today in the UK, Ireland and other parts of the world. Over the centuries, the Nave and Chancel have undergone many renovations and in 1835, the main body of the church was virtually rebuilt. Again in 1879, further major building works saw the addition of a porch, the raising of the floor in the Chancel and lowering of the floor in the Nave. 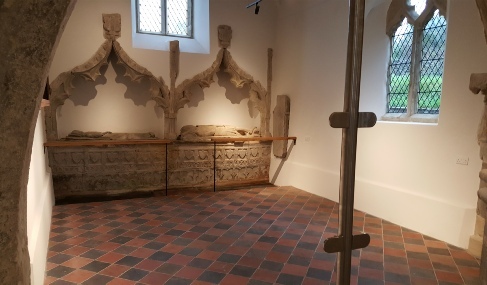 In 2016 with the financial support of the Heritage Lottery Fund, CADW and other trusts and foundations, the church underwent another major renovation to introduce 21st century technologies and environment-friendly heating and lighting systems, while still maintaining the medieval character that the church once had.